Jon Seda was born on 14th October 1970 in New York City, the United States. He has not disclosed his parent details. He was raised along with his sister named Sofia Seda in his family. Likewise, he attended Clifton New Jersey and then he started to work out in a gym. Moreover, the name of school or universities he studies is unknown. Jon holds American nationality and belongs to American ethnicity. He has 5 feet 7 inches height and his weight is still unknown. Similarly, he has light brown hair colour and has brown eye colour. His zodiac sign is Libra. Jon Seda began his career in the year 1992 when he played the role of Romano, a Cuban boxer in “Gladiator”. Then, he began to appear on different TV series. In 1997, he portrays the character Chris Perez in Selena starring Jennifer Lopez which became of the breakthrough in his acting career. That movie is based on the real story of Tejano singer Selena Quintanilla Perez who was murdered on the brink of her rising career. She played Selena’s hubby. It was in the year 2002 when he played his first lead role in the big screen in “King Rikki”. It was a re-imagining of Shakespeare’s Richard III in East L.A. playing as a protagonist. Likewise, he appeared in many of the movies. Some include “Bad Boys II”, “Larry Crowne”, “Bullet to the Head”. Subsequently, he appeared in different TV series. The actor also starred as one of the three main stars in the HBO World War II mini-series “The Pacific”. It was one of his famous hits. Similarly, Jone made a cameo in Ludacris’ song “Runaway Love”. There he appears as an abusive alcoholic stepfather. Talking about his latest work, he portrayed the role of Detective Mike Watts in the movie “Canal Street” in 2018. 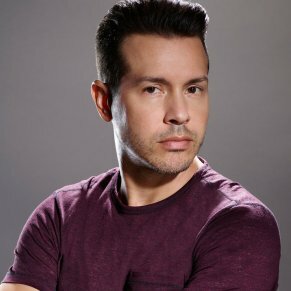 The 48 years old, Jon Seda is a married man. He is married to his girlfriend Lisa Gomez on 4th July 2000. Together the couple has four children; three daughters Haley Seda, Madison Seda, and Jessica Seda Pinto and a son, Jonathan Seda. The American actor, Jon Seda has earned the decent income from his career. He has a net worth of $2 million USD. Jon is active on all of the social media platforms. Likewise, his Instagram account and has more than 201K followers on his account. Likely, he also uses Twitter with 118K followers. Lastly, he also has more than 3K followers on his Facebook page.